Pilemate is a boat dock protection system that slips over your piling on floating docks and mooring pilings providing a strong, lightweight, and unsinkable product. Pilemate is a dock post cover that floats up and down around the pile during tide changes or storm surges and eliminates the guesswork of leaving slack in the lines, and worse, ripped out cleats. 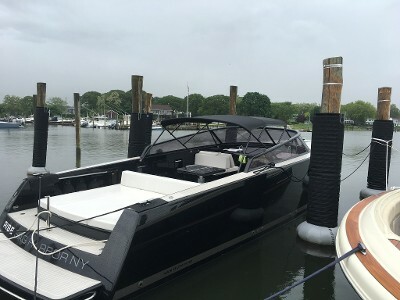 Pilemate is an ALL-IN-ONE vertical post/pile boat dock bumper protection system that will protect your boat better than any bumper or guard system. Pilemate acts as a fender to protect your boat as well as a gliding mooring device that will protect your boat during tide changes. Pilemate is the world's best floating dock boat bumper protection. • Acts as a turning bumper and 360 degree rub rail. • Protection against docking mishaps. Post/pile saver. Vertical boat dock guards. • Holds lines high and dry while slip is vacant. Best boat bumper/fender system. • Each Pilemate can serve two vessels, one on each side. • Attractive finish to the piling at all times, covering up unsightly buildup. • Floating dock post bumpers prevents lines from slipping. • Bigger boats in tighter slips. Boat dock bumpers and fenders. • Floating tie points and the best boat dock bumper solution for all makes of yachts. • Piles are going to last longer and will not wear out. • All slips become private slips and prevents ice jacking. A Pilemate economically extends the working height of existing piles. Our proprietary design adds 3 or more feet before docks or boats can come over the top of your piling in a storm surge. This is accomplished by extending the body of a Pilemate below its flotation. During hurricane sandy, we saved our clients from catastrophic damage. Let us explain how we can do the same for you! Pilemate prevents "ice jacking." Pilemate protrudes below the water level and acts like a chimney allowing the warmer water to surface from below. Ice forms around the unit to protect the piling. Pilemate also creates a break between the pile and the surrounding ice, so the pile remains unaffected by tidal changes, eliminating the need for expensive bubblers and ice melters.